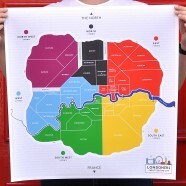 We like this because the game is focused around a map of London. 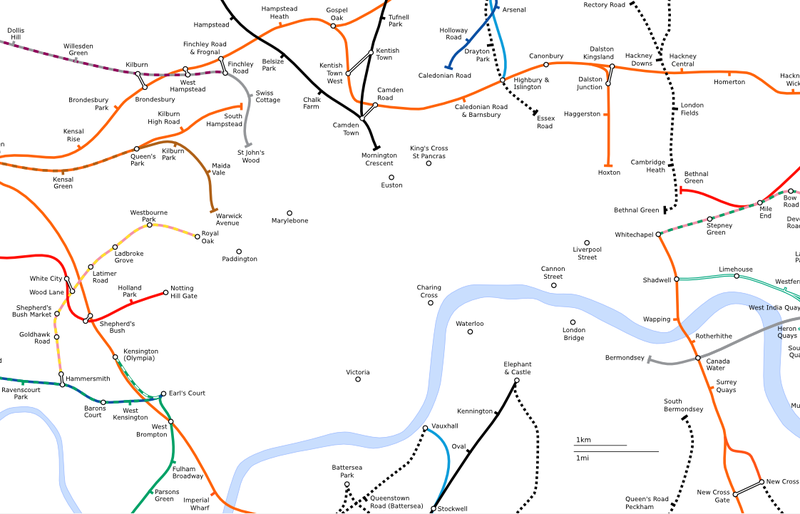 The definition of London for the game unusually uses the M25 “ring” as the border, which means Watford and Staines get included. 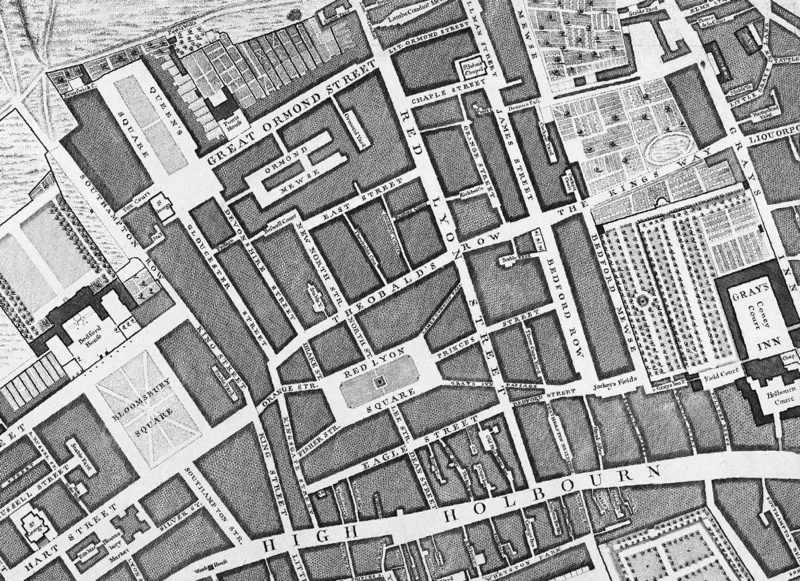 It is also necessarily simplified, splitting London into six sectors radiating around the centre. 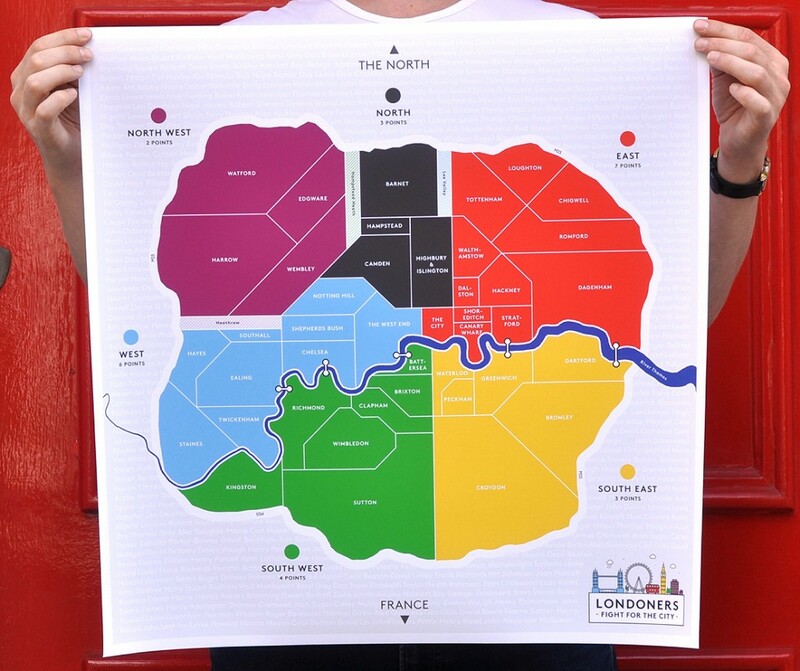 There are also some topological quirks, but to complain about these would be missing the point – this is all about fitting London into a Risk-style conquest! 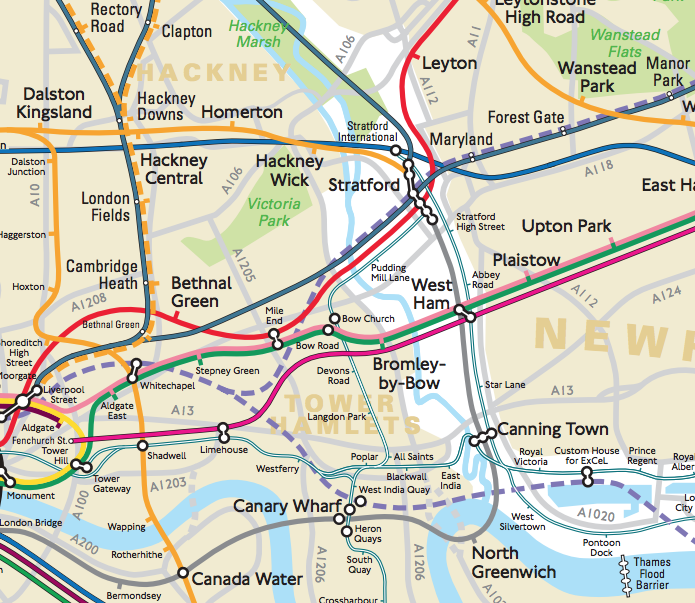 We really like the bright colours used in the map – they correspond loosely to the tube lines dominant in each area (which is why, for example, the northern sector is black). 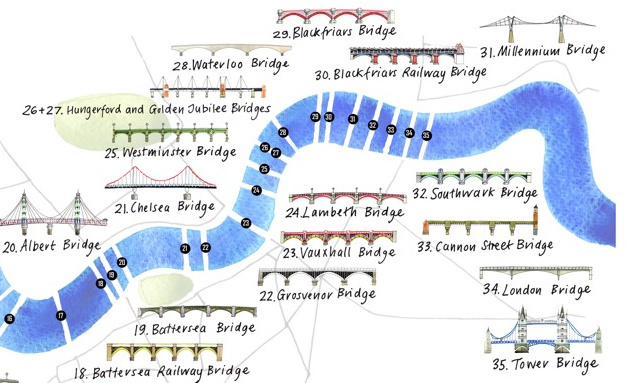 It is also good to see the inclusion of the River Thames and the M25 as the key contextual features. As well as the main game, which involves missions for your character, such as buying up the football stadiums or the City, the area cards that will come with the board can make a mini “top trumps” style game. Trade cards on factors such as house prices and “coolness”. 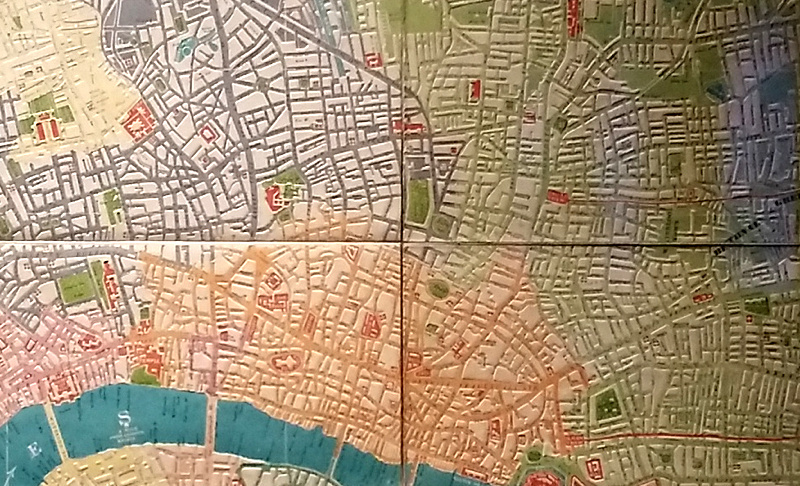 The team have already hit their funding target but are accepting overfunding – you can contribute in the next few days to secure your copy, your name on the board or other perks. If all goes well then it should be out in January next year. Crowdfunding page with more details on the project. Thanks to Stefan for letting us know about the project.